As I was reviewing the performance of my once healthy investment portfolio, I found a couple standouts: Omega Healthcare Investors (OHI) and Realty Income Corporation (O). I knew they were performing well, but I didn’t realize how dramatically these two publicly traded REITs have been performing compared to the S&P 500 index until now. OHI is up ~25% YTD and O is up ~11% YTD. A common assumption investors have is that when interest rates rise, real estate tends to fall because borrowing costs, and therefore, purchasing power goes down. Given the Fed has hiked the Fed Funds rate multiple times since the end of 2015, and given mortgage rates have also increased meaningfully as the 10-year treasury bond has sold off, it is impressive how well these two REITs have done in 2018. Let’s look into more detail why higher interest rates don’t necessarily hurt REIT and real estate performance overall and may actually be a positive signal for the industry as a whole. To better understand the correlation between real estate and interest rates, let’s first discuss a couple reasons why interest rates rise in the first place. One reason interest rates rise is due to higher appetite for riskier assets during a strong economic environment. When things are booming, you want to press for maximum returns. Therefore, investors tend to sell less risky assets such as bonds, which have provided closer to a 4% – 5% historic annual return and buy stocks, which have provided closer to an 8% – 10% historical annual return. Another reason interest rates rise is that a strong economy is often accompanied by inflationary pressure. With a tighter labor market, wages tend to increase. With higher labor input costs, product prices also tend to increase and so forth. One of the Fed’s main goals is to keep inflation at roughly 2%. In order to do so, it will raise the Fed Funds rate to reduce inflationary pressure. With higher short-term interest rates, longer-term interest rates tend to also increase in a normal rising yield curve. Everything from mortgage rates, new-car loan rates, credit card rates, and CD rates all tend to follow suit. If money market and CD rates get high enough, eventually there will be a shift away from riskier assets and back toward lower risk assets. If interest rates rise too fast and too high, however, turbulence with all investments tend to ensue. Therefore, it is important for the Federal Reserve to clearly telegraph its intentions to the market. Once its intentions are clear, investors and active managers of property can focus on fundamentals. History illustrates that commercial property returns have more often increased rather than decreased during periods of rising rates. According to the National Council of Real Estate Investment Fiduciaries (NCREIF), in the 21 years between 1996 and 2017, 19 quarters were affected by rising interest rates, all of which resulted in positive commercial property returns. It would seem that growing demand for real estate in a strong economy more than offsets the negative effects of higher borrowing costs. Several other factors determine overall real estate performance, including capitalization rate spreads over the 10-year treasury yield, the outlook for economic growth, real estate market fundamentals, and more. That said, there are always risks that might affect current economic growth that investors worry about, such as political uncertainty and monetary policy that may lead to volatility in real estate. This is a chart that NAREIT prepared showing that listed equity REITs performed well, and consistently, during the nearly two decades from 1999 to 2017, specifically during periods of rising interest rates. Another factor that may affect total returns is the ability of owners of commercial real estate to raise rents and generate higher returns during good economic times. For property types where leases are shorter term like multifamily, leases renew more frequently, thereby giving the landlord more opportunities to raise rents versus properties with longer-term leases. There is no guarantee that landlords will receive the increased rental rates from their tenants. I tried in 2017 for my SF rental and failed due to a significant increase in inventory. If interest rates rise due to an improving economy, however, commercial real estate landlords have the power to raise rents to keep pace with rising rates, and values can potentially strengthen because of higher rents. Of course, REITs can and do underperform under an interest rate change regime. REITs can also underperform if the Fed signals a much more aggressive interest rate hiking outlook versus expectations. But based on history, underperformance tends to be relatively short-term, according to Cohen & Steers. 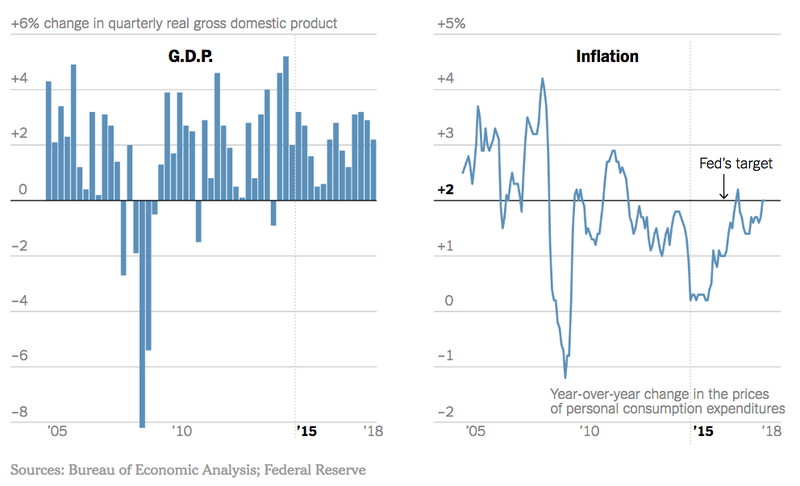 This is because, generally, the Fed’s decision to increase interest rates reflects the signals it sees of an expanding economy, such as increasing Gross Domestic Product (GDP) for consecutive quarters and low unemployment rates. For evidence that weakening REIT performance during a rate-hike period is often short-lived, consider this statistic from a Cohen & Steers report: Data measured over the last 20 years show that three months after a change in the Federal Funds Rate, U.S. REITs outperformed stocks by 1.5%. As more time passed, one year after interest rate increased, REITs outperformed stocks by 7.7%. When an investor purchases a bond, the coupon rate and its maturity date are both fixed, which makes this investment more sensitive to interest rate fluctuations. As rates rise, the value of a fixed-rate bond tends to fall, and vice versa. A REIT’s value, by contrast, is not fixed. REITs have active managers that invest in real estate. The management team operating a REIT can grow its value and increase investor distributions by growing the REIT’s asset base, increasing rents, adding income-generating services to the properties they own, and other accretive measures. In other words, not all REITs and eREITs are created equal. As an investor, we must not only understand the macroeconomic backdrop, but we must also choose the best managers. Take a look at this performance chart which gives a broader picture. As you can see from the chart, the Vanguard Real Estate ETF (VNQ in pink) has actually underperformed the S&P 500 (purple) by about 3% YTD. VNQ can be considered a main REIT index fund. Therefore, it shows that the managers at OHI and O have done things to help their respective REITs outperform. In OHI’s case, there may have been some positive regulatory changes as well. Meanwhile, you can see how homebuilding stocks KBH, Lennar, and Pulte have gotten slaughtered, down 27% – 38% for the year. In a rising interest rate environment that reduces purchasing power of home buyers, the homebuilding sector is most directly affected. If they sell fewer homes, their earnings will get hit. The stark contrast in share price performance between REITs and homebuilders tells me that in a rising interest rate environment, it’s better to be a commercial property landlord than a single family home builder or flipper. There will be a time when individuals can consider fixing and flipping houses again for profit. But that time does not seem to be now if the homebuilding stocks are any indicator. If the Federal Reserve can stay somewhat transparent and only gradually raise the Fed Funds rate, I’m confident the REIT sector and the real estate market overall won’t collapse, and may even outperform stocks. The Fed doesn’t want to raise more aggressively than what it’s already telegraphed because it also has a full employment target objective. There are plenty of moving parts when it comes to real estate investing which will cause short-term volatility. There’s no guarantee that REITs will outperform over the next several years either. But over the long run, real estate has proven to be a solid long-term investment. Readers, anybody invest in publicly traded REITs? If so, how have they done and what are some of your favorites? The post How Rising Interest Rates Affect REIT Price Performance: Not As Bad As You Think appeared first on Financial Samurai.